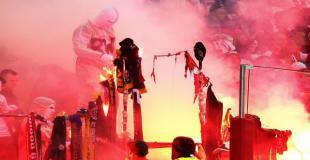 Gate 4 with big pyro show and actions against cops. Before the match PAOK fans made a corteo from city center to the prison to give support to their friends who are behind the bars. 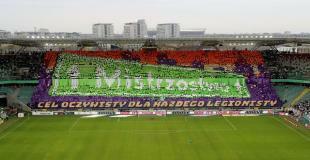 On match they had many banners in their honor and against cops. 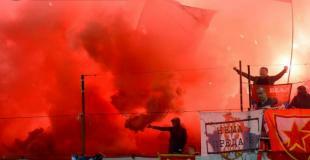 As usual on derbies, they lighted many flares. 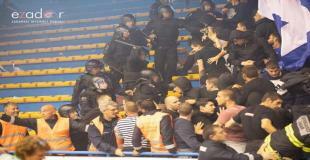 In riots with police after match, 9 cops got injured.